HSC were excited to publicly launch the High School for Coburg Civic Fund at the Civic Reception. 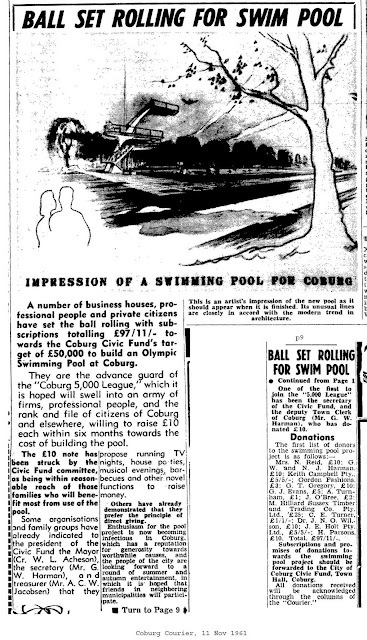 The fund is based on the 1961 Coburg Civic Fund which gathered donations from individuals and businesses for the building of the Coburg Olympic Pool. It builds on Coburg's proud history of generosity but also a history of strong advocacy for local education. HSC began this project in late 2010 gathering pledges which would be payable to the new school if/when we got one! We quickly reached a total near $20,000 -however $10,000 of that was from Equiset Grollo who are no longer partners in the Coburg Initiative. Since then our energy was diverted to other campaign tasks, however now that there is an actual school to donate to we decided to publicly launch the HSC Civic Fund. Our plan is for pledges to be converted to donations once the 7-12 school entity has a school council. The usual vehicle for such donations is called a library fund. Pledges of $1,000 and over will earn the opportunity to use the Proud Supporter Seal in their promotion. raising the sense of community ownership and therefore potential community partnerships with the school. actual monetary benefit to the school. shows that HSC are committed to following through and helping build the school. We have $8,300 in pledges so far from businesses, organisations and individuals ranging from $100 from John Macneil who attended Coburg High from 1939 -1943 (and who has promised to give more once the new school entity has a school council) to $2,500 from John Parisi the partner in My Chemist/ Chemist Warehouse Coburg and Brunswick. Pledges over $1,000 earn the opportunity to use a Civic Fund "proud supporter" seal in their advertising. If you would like to make a pledge please contact us by email highschool4coburg@gmail.com, facebook message or post (contact details and link to facebook on the website)and we will record your name on the list! This is quite concerning - a civic fund being set up for a school still without a school council or any other governance arrangements in place. Permission being granted to pledgees for a 'seal' for a school yet to be established - on whose authority? All a bit presumptuous. 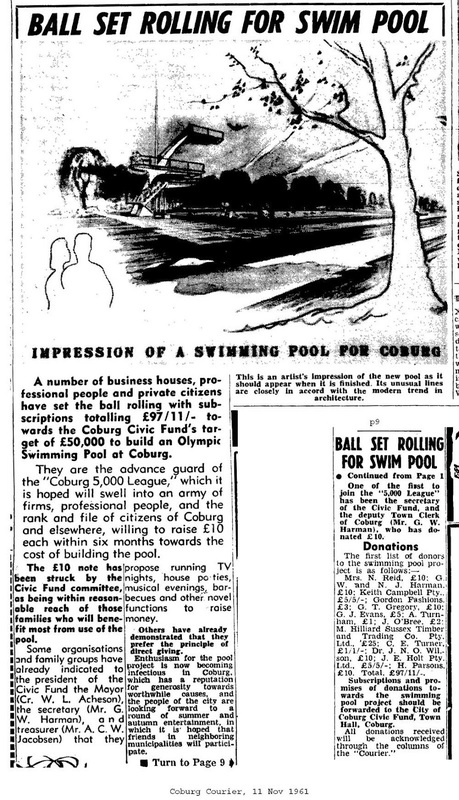 The fund for the pool was managed by the then council, which provided for accountability. More information about the governance arrangements would be useful for the community. Thanks for your concern -you will be happy to know that if you read the post above you will discover your concerns are unfounded. 1)The 1961 pool civic fund collected actual money as well as pledges. The HSC Civic Fund is collecting PLEDGES only - these will not be converted to actual donations until there is a school council formed and they are in a position to accept donations. The school will have total control over what they do with the donated money. The Civic Fund may or may not continue once the school is formed - that will be up to the school. If it continues it could be called the "X" High School Civic Fund. The pledges collected are a great way of showing community support for the school and getting community partnerships happening early. 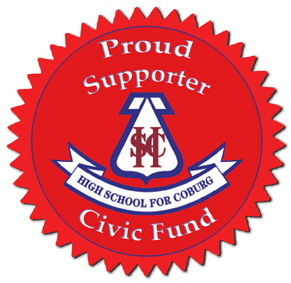 2)If you look at the seal(pictured above)you will see it is called the HIGH SCHOOL FOR COBURG Civic Fund Proud Supporter seal. It is awarded by HSC for use by businesses pledging more than $1,000 to the HSC Civic Fund. It is NOT A SCHOOL SEAL it is a seal designed by HSC and awarded by HSC. Many local individuals and businesses were happy to pledge siginificant amaounts even before we had the state government's excellent high school decision. The idea for the seal actually came from one of these local businesses. Hope this helps. Please don't hesitate to get in contact if you still have concerns.